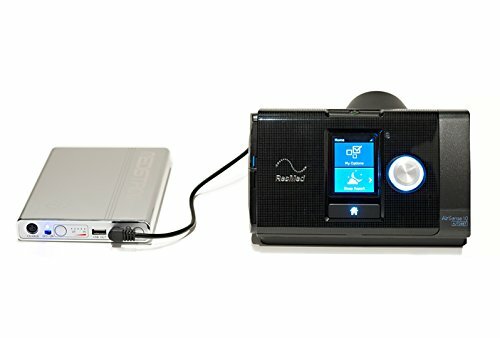 If you’re like most CPAP users, you want to be confident that no matter where you are and what the conditions are, you’re going to be able to use that machine. For example: when you go camping, sometimes it’s hard to find a source of electricity. Or have you ever considered what would happen if your power went out and you couldn’t use your machine? The obvious solution is to get yourself a CPAP battery backup, which you can plug right into your vehicle so you can continue to use your CPAP machine. This is something that a lot of CPAP machine users don’t think about - until it is too late.But not you! Because you’re reading this article. A lot of battery packs are big and bulky, and they are not easy to travel with. This battery backup is the thinnest and lightest backup battery you can get, and it is loaded with power so it isn’t going to give up in the middle of the night. This battery backup has a power inverter (auto charge DC cable) that allows you to charge the battery pack with your vehicle’s power socket (cigarette lighter). 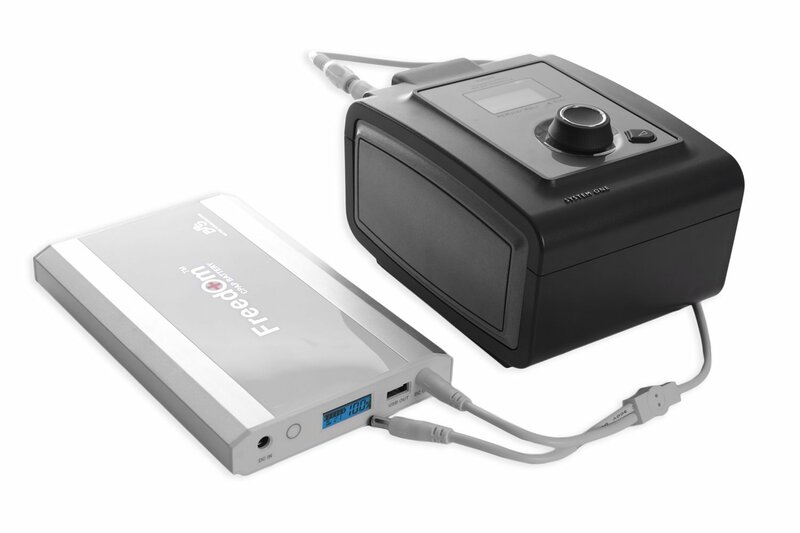 This battery kit supports a variety of CPAP machines, including the ResMed S9 and the ResMed Airsense 10. 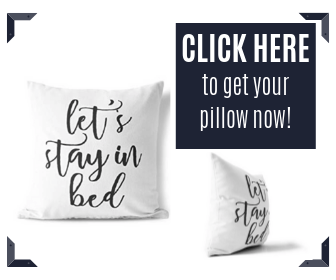 It can be used as a permanent backup battery, so you never have to worry about interruptions in your CPAP sleep therapy. You can expect to get at least a couple of nights of use before you have to worry about recharging. 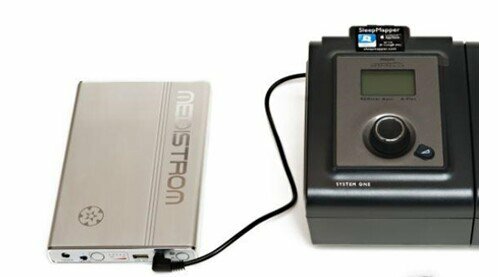 If you are going to be on a long flight and you want to bring your CPAP machine along with you, it is a good idea to make sure that you have this long-lasting battery pack to make sure that your device works for several hours. This battery pack can work for a couple of nights before it needs to be recharged, making it ideal for travel, or in the event of a power outage. A battery backup system is exactly what it sounds like: a backup power system in case anything happens that causes you to lose power and be unable to use your CPAP machine. Many people don’t bother getting a battery backup, which is not a good thing, and many who do own a backup have no idea what it actually is. Let’s take a look at the most important parts (not all systems have these parts, but this will give you a general idea of what to look for). 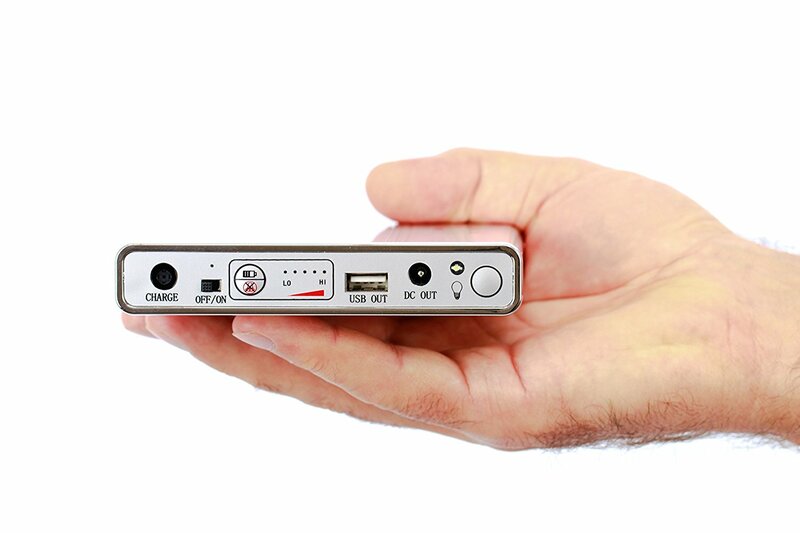 The actual battery will depend on the portability of the unit. Often, if it is not portable, a 12-volt marine or recreational vehicle, deep-cycle battery is what you will see used for many CPAP machines. This is necessary to maintain the sulfuric acid solution inside the battery. You will need to have a connector wire that goes from the battery to the power outlet in your vehicle (cigarette lighter). The wires should be heavy so they don’t overheat and you don’t lose any power. This is a tube made of clear glass or plastic, and it holds battery fluid. A pointer indicates how dense the fluid is, which tells you how much charge the battery has. It is always a good idea to have spare fuses for your battery backup system on hand. You will need fuses for the CPAP itself, as well as for the inverter and the battery charger. This is necessary for converting a 10-12 volt DC input to a source of 60 Hz, 115 VAC (the equivalent to a typical US household current). Your battery backup system should have a charger that can run on a regular household current. If it doesn’t come with a charger, you can usually get one at most auto supply stores or department stores. This measures the voltage of the battery, and it can come in pretty handy to have in order to know precisely how much current is being drawn by the device. 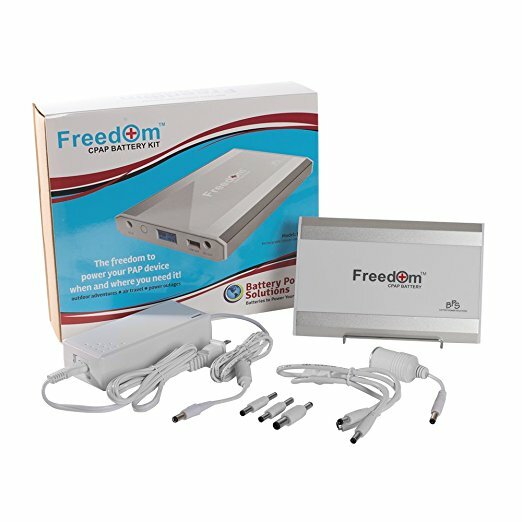 Enjoy the freedom of always having backup battery power, and being able to use it anywhere, with this battery kit. You can use it in a single battery configuration, or daisy chain two batteries so you get more power, which is great if you are going to be in an area where there is no electricity (such as camping in the woods). Can be used on boats, planes, in cars, etc. It will run your CPAP machine for up to two full nights before it needs to be recharged. Even if your power goes out for more than 24 hours, you can be sure that your CPAP is going to perform when you need it. If you are looking for a good battery backup kit to travel with, this is a great choice. It is a Lithium-Ion battery, and it is FAA approved, meeting 100wH restriction for air travel. Because it is small and lightweight, it is easy to travel with, and you can use it just about anywhere. Some people even use it while on long flights. Users say they love it for travel, because it is compact and lightweight, and they get a lot of battery power before they have to recharge. While it should not go into a plane’s cargo area, it is fine to bring on board with you. If you want to have a battery pack that can be connected to your machine to be used as an automatic backup battery in the event of a power outage, this is definitely an option to consider. All you have to do is hook up the battery to power and to your CPAP, and it is on standby. 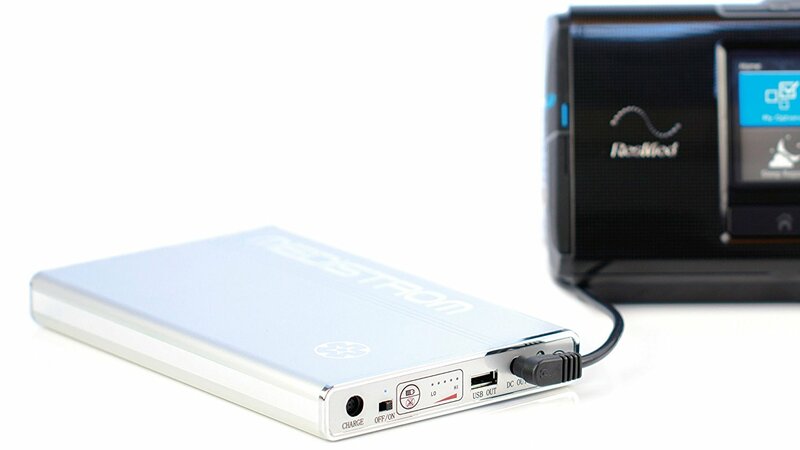 This battery backup is compatible with ResMed sleep apnea devices, and it can also be used with the RemStar Auto A-Flex. And is easy to use. The instructions are easy for anyone to read, and it only takes a few minutes to have this battery backup ready to go. Because it lasts for so long, it is a great unit to take with you on camping trips where there is no electricity. 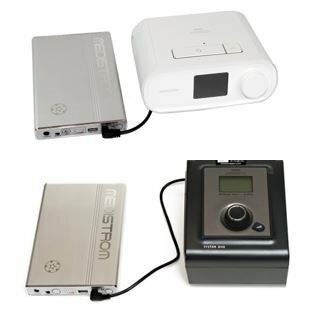 Before you start shopping for a battery backup for your CPAP machine, there are some very specific questions that you are going to need answers to, and you will need to get these answers directly from the manufacturers. Here are a few things to ask to make sure that you are getting the right battery backup for your machine. 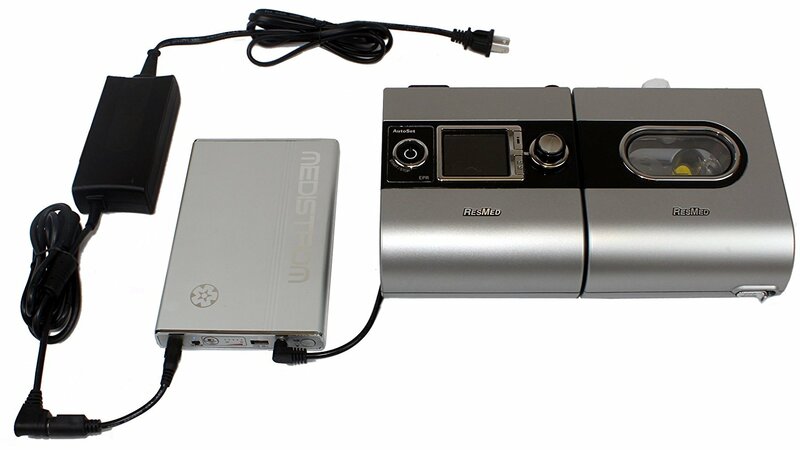 If you are going to use the battery backup system while camping or during power failures, let the manufacturer know the model of CPAP machine you are using, as well as the prescribed pressure. In order to know what size battery you need, you need to know how many amperes the machine draws, at the pressure you use. You also need to know how many watts the device uses. If your machine doesn’t accept 12VDC, you need to be able to convert the battery power so it will run at 115VAC, so make sure that an inverter isn’t going to damage your device. 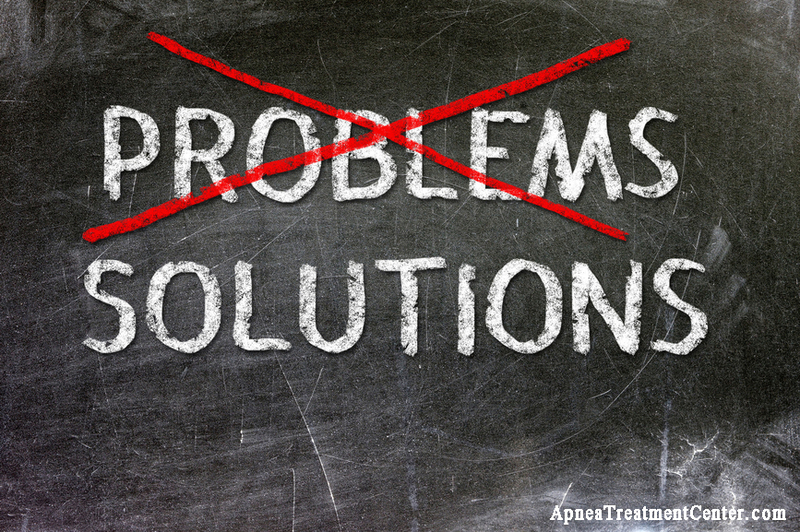 Ask if using a specific battery backup system will have any effect on the warranty for your CPAP machine. If you are not interested in any of the above-mentioned battery backups, but you do want a backup system, look for one that is a lead-acid, deep-cycle marine/RV battery. You can get these on Amazon, as well as at most department and auto supply stores. The ampere/hour rating should be at least one to two times the amount of power required by the machine for a full night’s sleep. There are good and bad points to using this type of battery, and a battery backup that is specifically made for CPAP devices is recommended. Yes, these batteries are less expensive, but they are big and heavy, and not ideal for traveling. battery backup, be sure not to use it with your car battery for long periods of time. It is best to charge for a half an hour or so at a time, in order to not drain the car battery. Before charging, check with your vehicle manufacturer (user manual) to make sure that the system is compatible with the type of battery you are using. Specific Gravity as well as the voltage, and you should check it again one full day after charging. Use the hydrometer to check the gravity readings from each cell to get the best results. Be sure to check the battery at least once a month, and add to the electrolyte level when necessary. Always follow all of the manufacturer’s instructions, particularly the safety instructions. Even if you don’t plan on going on any long trips or camping, it is still a good idea to make sure that you have a battery backup for your CPAP machine. You never know when the power is going to go out, and if you have sleep apnea, you really do need to be prepared for any type of emergency that could keep you from being able to use your CPAP device.